RIAA Barker Gillette has five offices across Pakistan. With 11 partners and 60 associates, RIAA Barker Gillette Pakistan is the largest law firm in the country, offering the full range of corporate, commercial and dispute resolution legal services for clients including private and public corporations, governmental agencies, financial institutions and family business groups. 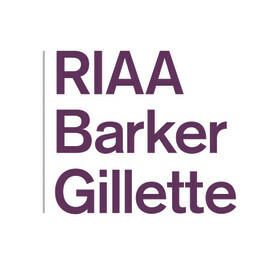 With substantial on-the-ground capability and over 35 years of history globally, RIAA Barker Gillette has grown to become a leading international group of firms. Our team of professionals is well versed in advising domestic and multinational clients, and has extensive experience of complex, cross-border work. RIAA Barker Gillette is consistently recognised as a Band 1 and Tier 1 law firm by major international legal directories. In addition to the support and access to resources of the RIAA Barker Gillette’s offices in London, New York, Dubai, and Beijing, RIAA Barker Gillette is the exclusive member firm in Pakistan for Lex Mundi the world’s leading network of independent law firms with in-depth experience in 100+ countries worldwide.